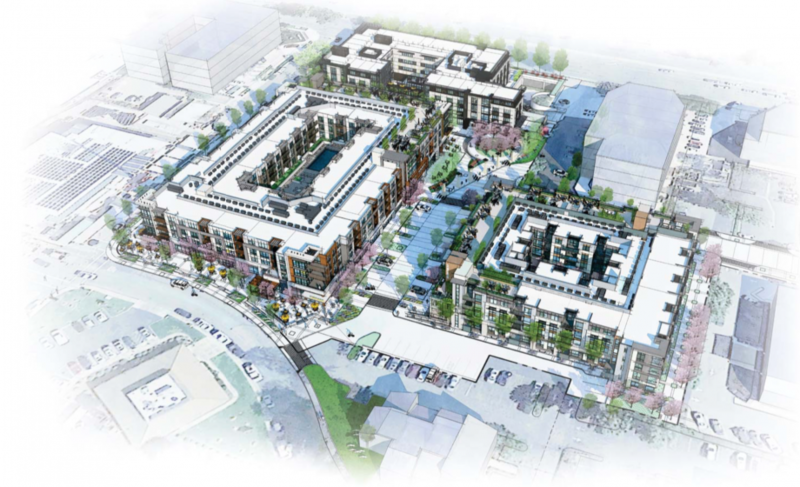 Marina Plaza will be a new mixed-use development with a public plaza, boutique hotel, multi-family housing, restaurant and retail spaces on 5.16 acres of land. The site currently houses a typical suburban strip mall with an anchor grocery store surrounded by retail spaces and extensive surface parking. The site’s owner of thirty years wants to update and optimize the site by replacing it with an inclusive mixed-use, community-centered development. During an all-hands design charette facilitated by Beyond Efficiency, participants were asked to write three adjectives or short phrases that captured their vision for the project, or “what would make it a success” when looking back on it. Attributes related to community, placemaking, and pride-of-place were the most popular—it was refreshing and surprising to see technical experts evaluating their project’s success by its community image, rather than building systems! Beyond Efficiency has been on board since project initiation for goal-setting, Owner's Project Developments (OPR) facilitation, energy modeling, green consulting and LEED certification. As of summer 2017, the project is in planning approval.